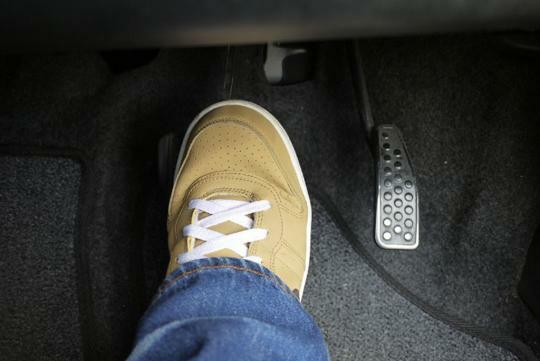 You might have heard of stories where a vehicle gets into an accident when the driver mistakenly steps on the wrong pedal, for example, stepping the acceleration pedal instead of the brake pedal while parking. In order to eliminate such accidents from happening, Nissan has unveiled a new technology which will help reduce accidents caused by pedal misapplication and it will debut on the new, upcoming Nissan Elgrand at the end of this year. The technology is known as the Emergency Assist for Pedal Misapplication with Carpark Detection Function. 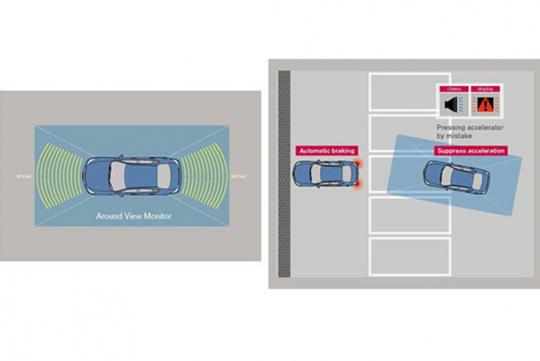 It uses one of Nissan�s safety technologies, Around View Monitor, and it detects if your vehicle is at a parking space where a vehicle could collide with a wall if the driver mistakenly applies the wrong pedal. The pedal misapplication technology is said to reduce acceleration accidents in parking areas and in other spaces where a car could hit (for example) a wall if the driver accidentally presses the acceleration pedal instead of the brake pedal. The technology uses four cameras (part of the Around View Monitor) and ultrasonic sonar to detect if the car is currently in a parking area or not and also if there are any obstacles such as a wall or other parked vehicles in the direction of the vehicle travelling. If the system detects that the vehicle is going to hit an obstacle, the system will automatically control the acceleration (if necessary) and will apply the brakes before a collision could happen. As mentioned above, the new pedal misapplication system will debut on the new Nissan Elgrand MPV. To this date, the Nissan Elgrand has been fitted with several of Nissan�s safety features such as the Around View Monitor and also the Moving Object Detection system. The new car will be made available by the end of the year in Japan and selected Asian markets.